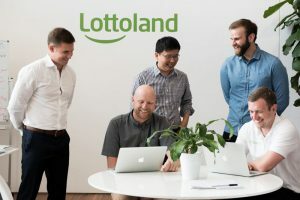 We launched in Australia in early January and in that same week the country went crazy as 250,000 customers signed up with Lottoland.com.au in order to bet on the world-record $1.6 billion draw of US PowerBall. We have continued to boom ‘Down Under’, revolutionising the online gambling sector and offering Australians more choice and innovation. Our brilliant teams in Sydney and Darwin are working tirelessly to ensure more and more Aussies have the chance to win the world’s biggest jackpots. We continue to innovate in the marketing space, with engaging digital, outdoor and TV AD marketing campaigns, allowing even more Aussies to dream about winning big. In many ways our success Down Under can be compared with the disruptive effect of Uber. Lottoland’s dedication towards the community has seen a continual ongoing support towards the Royal Flying Doctor Service with the aim to raise awareness for the aeromedical organisation which provides extensive health care to people over an area of 7.69 million square kilometres. In 2017, the partnership saw Lottoland give a $50,000 donation through the “Lottoland Million Dollar Mitchell Street Mile” (more details below), along with Lottoland offering up their sponsorship of the Manly Sea Eagles jersey to help raise awareness for the RFDS. Lottoland’s latest gesture to the RFDS was a pledge of $20,000 on the back of the #LottolandDance4Charity – a lighthearted Instagram competition which saw entrants upload videos of themselves doing the Lottoland ‘Winners Dance’. The speed and success of Lottoland’s launch in Australia quickly led to opportunities within the corporate sector and a chance to support local community. In February 2017, Lottoland announced its sponsorship of one of the country’s most high-profile Rugby League teams, the Manly Warringah Sea Eagles. 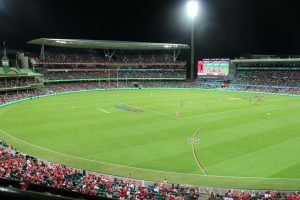 The seven-figure deal included naming rights of the team’s historic home ground on Sydney’s Northern Beaches. 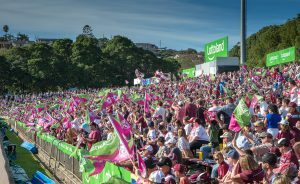 Nicknamed ‘The Fortress’, the ground once known as Brookvale Oval has been re-named ‘Lottoland’ for the foreseeable future. The coveted position on the back of each player’s jersey will also boast the Lottoland name for at least two seasons. The partnership with the Sea Eagles will help the much-loved club re-invest in its infrastructure and ensure that it continues its 70-year tradition of playing home games in front of its adoring local Northern Beaches supporters. NRL legend Steve Menzies has completed his arduous climb of the world’s highest mountain raising money and awareness in support of the Mark Hughes Foundation. 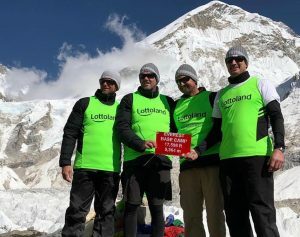 Former NRL stalwart Steve Menzies and team Lottoland have conquered Everest. The Sea Eagles legend and his team completed the monumental 5500m trek to help raise money and awareness for the Mark Hughes Foundation, a not-for-profit organisation in search of a cure for brain cancer. In spite of their achievements, the team stayed humble and appreciated that although the mountain they climbed was gruelling, people suffering from the disease have to climb much bigger mountains than this each and every day. Lottoland was proud to sponsor such a great cause and are hopes the donation given to the Mark Hughes Foundation can help further support the research and possible cure for brain cancer. Lottoland encourages others to get behind this great cause. 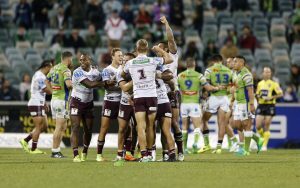 The home of the Manly Warringah Sea Eagles will change names, all in the name of charity, for Manlys Round 22 clash against the Canterbury Bulldogs on Saturday, August 11 2018. As part of the NRL’s annual Harvey Norman Women in League Round, Lottoland will be giving up their naming rights of the venue to the McGrath Foundation, with the ground becoming McGrath Foundation Stadium for the week. Lottoland also agreed to donate $20,000 on the day directly to McGrath Foundation, which will help fund McGrath Breast Care Nurses across Australia. Lottoland and the Sea Eagles are also working together on a number of exciting events and initiatives for Members and fans throughout the week leading into the Harvey Norman Women in League Round home game at McGrath Foundation Stadium. Lottoland’s commitment to supporting local communities and charities saw it jump at the opportunity to become the major sponsor of an iconic Darwin running race. In July 2017, the newly named Lottoland Mitchell Street Million Dollar Mile was announced, along with an exciting incentive for those participating in the mile-long race around the Darwin CBD in September. 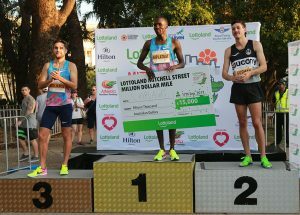 The contribution saw Lottoland offer a $1 million prize to the winner of both the Men’s Elite and Women’s Elite races, should their winning time be an official world mile record. Despite no-one taking home the $1 million prize, Lottoland still donated a total of $50,000 to help support the Royal Flying Doctor Service. The sponsorship and donations continue Lottoland’s policy to get behind Australian communities and charities. 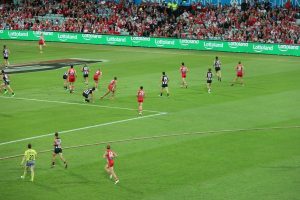 With Lottoland Australia primarily based in Sydney (we also have a Darwin office), it made sense to get behind one of Sydney’s most beloved teams – the Sydney Swans. With aims to support the local community, Lottoland announced their sponsorship of the Sydney Swans in 2017 – a partnership that Lottoland is extremely proud of and is currently ongoing. Lottoland is hopeful that their support of the Sydney Swans will help further the success of the already proud club.